How should a multihead weigher be designed for the weighing and packaging of fragile goods? Find the solution here! 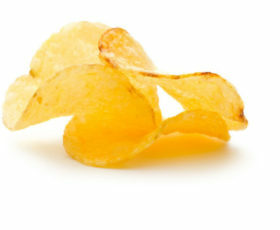 Yamato Scale offers the best multihead weighers worldwide for the weighing and packaging of fragile products such as potato chips, biscuits, rice-snacks, and tortilla chips, among others. We consume an overwhelming variety of goods every day. Although consumers enjoy the diversity, they have higher demands on the quality. To ensure this, the manufacturers face great challenges. 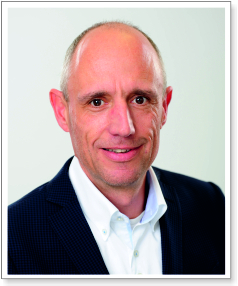 Since food production and the subsequent logistics to provide the consumer with the product are two different processes, they merit separate attention. Here the packaging industry comes into play. The good news is that there have been great developments that you can benefit from in this industry. In our column Tips for the Weighing and Packaging of Goods, we would like to introduce to you the key details you need to consider when weighing and packaging fragile goods. 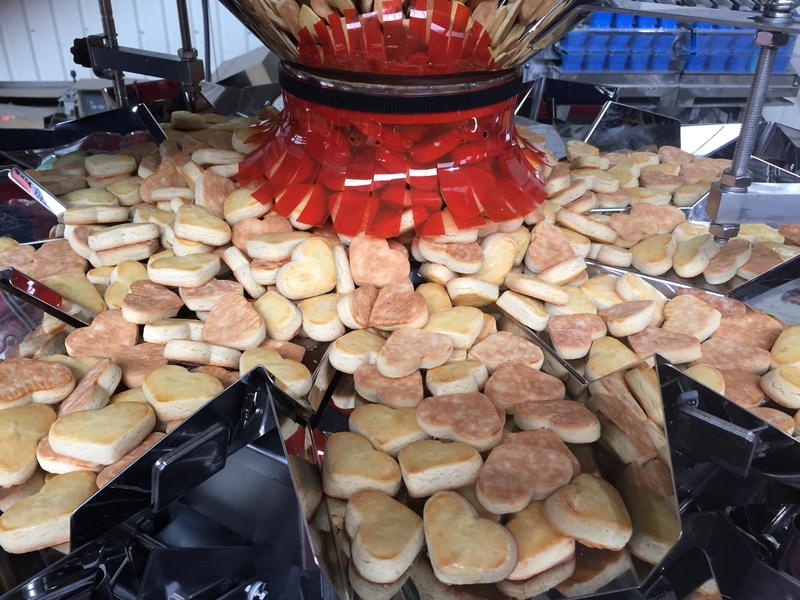 The OMEGA Series encompasses the high-end segment of multihead weighers that are equipped with the latest technological advancements. The multihead weighers of this series are an outstanding solution for the weighing of fragile products. First of all, it is important that the goods are handled gently throughout the entire transportation process, from the production to the bag. However, the most critical phase is the weighing. 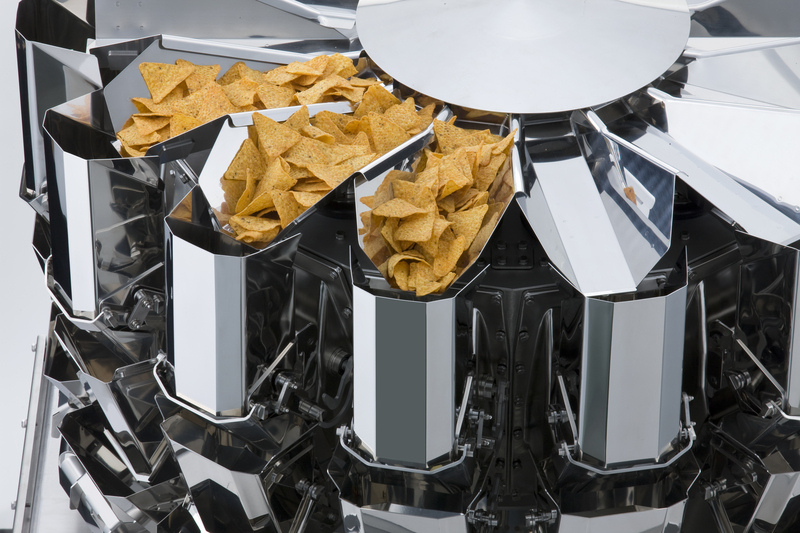 The use of automatic multihead weighers will allow the acceleration of the process. But also consider that your scale will require a special design, particularly for fragile products. Over the last decades, Yamato, as a leader for multihead weighers, checkweighers, and complete packaging solutions, has gathered relevant knowledge and is proud to share these experiences with our customers. Yamato offers the world’s best solution for the weighing and packaging of fragile goods, segmented into four model series. The SIGMA Series is the classic tried and tested model with a proven track record. The EPSILON Series is our latest development and combines the best features of all machine ranges and also provides an excellent price-performance ratio . The ALPHA Series is a robust multihead weigher with exceptional design and belongs to the low-cost segment. Which of these series you prefer is certainly a question of budget. We can ensure you that, in its recommendations, our consulting team will consider the optimal solution you need. All four series offer individual weighing solutions for fragile goods. Fragile goods have to be handled gently throughout the entire transportation process, from the production to the bag. What should also to be taken into consideration when weighing fragile goods is to reduce the drop height of the product to a minimum. The goods should be passed from the conveyer belt to the top cone of the multihead weigher in a smooth manner. For fragile applications, a low inclination of the top cone and the linear feed pans is recommended. For the protection of the products, an appropriate shape and size for the linear feed pans is equally important. As a surface for all product-touching parts, we recommend special materials. The make-up of these materials slows down the product flow and protects the goods. Uncontrollable rolling and sliding might damage the edges of goods such as biscuits. 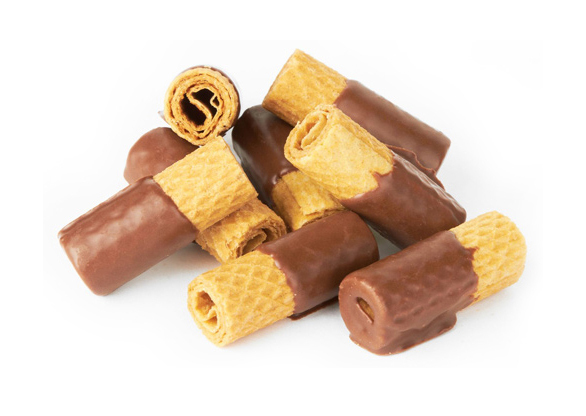 Moreover, pressure marks might occur through friction on chocolate-covered products like dried fruits or jellies. This kind of damage dramatically reduces the quality of your product! The next phase of the weighing process leads to the feed and weighing buckets. Here, several options can assist you in protecting the product. The size, shape, and surfaces of the buckets play a key role here. However, a variety of surface coatings can be provided to protect the product from damage. The last challenge is the transfer of the goods via the collecting shoots into the bag. It is a given that we cannot outwit the gravitational force. This means that if you want to speed up your packaging process, you run the risk of increasing the share of damaged product! However, here too Yamato can offer a brilliant solution. Here the so-called product stopper and the shape of the collecting shoots control the product flow. The advanced software in particular enables you to perform your weighing and packaging process with speed while at the same time protecting the goods from damage. 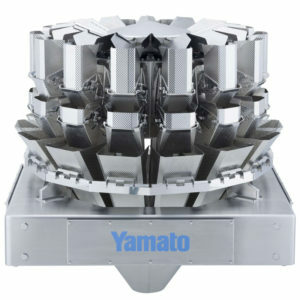 Yamato Scale offers a wide range of multihead weighers for the weighing and packaging of fragile products. Chocolate covered products might be damaged if they are not handled properly. We are aware of the fact that putting all these features together will provide the best possible solution. What exactly does your production require? And, above all, how much you are willing to invest? A desirable solution would mean maximum benefit at an appropriate cost. We therefore recommend that you conduct a trial-run with your original goods in advance. You are always welcome to participate in live demo-sessions, which we can arrange for you in our R&D test department. We would like to emphasize that to find the optimally equipped multihead weigher, a trustful collaboration is essential. We assure you, that you will be satisfied with the result! We hope that we have helped you to understand the specific aspects you should take into account when weighing and packaging fragile goods. Contact us for further information on the weighing and packaging of fragile products.